WarChess is set in a dark and magic world where dwarves, elves, goblins, and strange creatures rule. 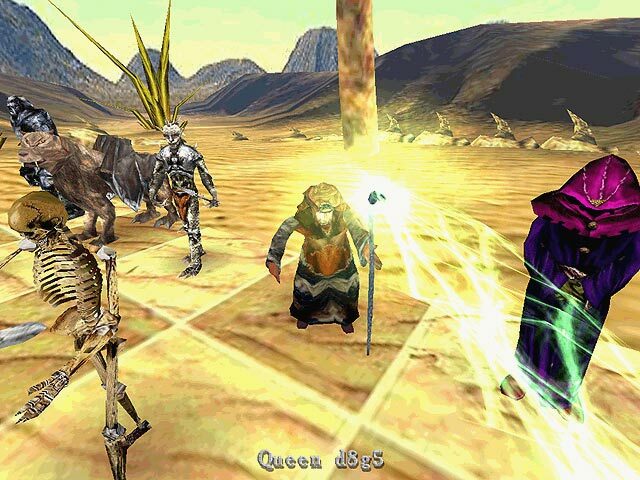 Choose your army and defeat your opponent in gloriously rendered 3D chess environments including barren deserts, ancient temple ruins, and many other mysterious and mystical realms. 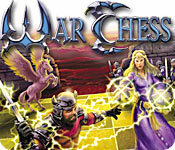 War Chess is rated 3.8 out of 5 by 13. Rated 5 out of 5 by Kadanovich from War Chess is a Winner War Chess is a remarkable twist on this classic game. Brilliant actually – it introduces an unexpected element of fun into each move. There are two chess boards. The main board shows the animated action figures and the small board is a standard chess display. You move the pieces within the small board and then watch your move translated into lifelike movement on the large board. Outstanding! I played one round of chess and immediately made my purchase. Both the color and graphics are superb. If you love chess, you stand a good chance of being pleasantly surprised from your first move forward. Two thumbs up. Rated 5 out of 5 by Antzsevilla_30 from War Chess is my kind of game I really like chess game, especially that i found out that there is a war chess and all graphic effect is very good and quite interesting. Rated 5 out of 5 by ThinManFat from BestChess I've never written a review before but decided to give it a go. My reason for doing so is that, at first, I was put off from trying this game by a couple of the more negative reviews to be found here. However, I decided to download the free trial anyway – and I'm very glad that I did so. The interface, in fact, is quite easy to navigate and the pieces are very easy to move. You just left-click the piece you want to move and right-click the square you want to move it to – job's done. 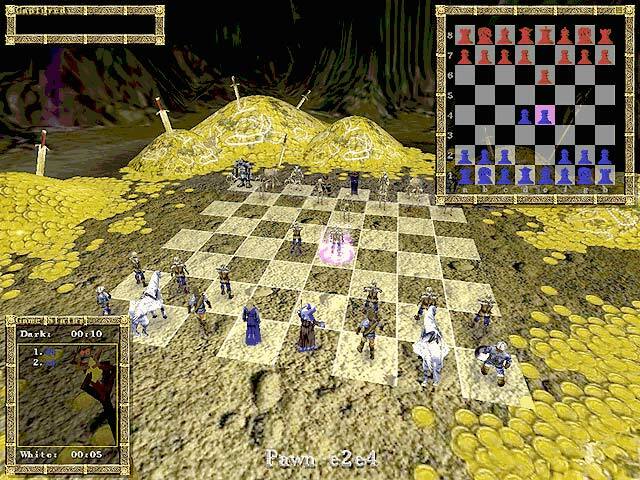 When you first start up the game, in addition to the 3-D chessboard, you'll see a small conventional chessboard, plus a window for displaying captured pieces, along with a window for the move list. Pressing the keyboard escape key brings up a sub-menu. This is a very handy feature. At any time during a game you can call up the sub-menu and change some of the game's settings. E.g., you can show/hide the move list, the captured pieces etc., if you want/don't want them visible. If you have the conventional chessboard displayed it can also be used to move the pieces in exactly the same way as with the 3-D board – or by dragging and dropping. All very nifty. The game doesn't have any time controls but for me that's a mute point anyway. If you're playing against the computer it's always going to be able to evaluate hundreds more positions per second than you can – so what's the point of trying to out-do it on time? Some will disagree with that and perhaps point out that games involving grand masters v computers are always timed – and the computer doesn't always win. It's a factor in those kind of games – but how many of us will ever find ourselves playing at that level? All of the other game play features you'd expect to be present are there though e.g., player v player, player v computer, computer v computer – that's good enough for me. The 3-D pieces, all fully animated, are of the type you wouldn't want to run into up a dark lonely backstreet. Very scary – but all the better for that. By holding down the left mouse button the board can be rotated and manoeuvred in such a way that it can be viewed from all manner of angle and perspective. It all gives the game a very realistic Tolkienesk sword and sorcery battleground feel. The only gripe I've got is that the knights are riderless winged horses. Where are the knights!? OK, in a conventional chess set the knights are just horse's heads. But if you're going to get creative with the design of chess pieces …? That's a relatively minor gripe though. Doesn't spoil the fun. I'm not a particularly strong player so I can't really comment on the game's maximum playing strength. How would I know? So far I've only played on the lowest settings and the best I can say is that if you're an “average Joe”, the same as me, you can look forward to some stern challenges ahead for sure. What I have noticed though is that even on the lowest settings the game doesn't just “roll over” if it detects you're playing questionable moves. If you play badly you'll get punished badly – so beware! At the end of the day chess is chess. The rules don't change even if the board and pieces do. But whilst having a game of chess, whilst listening to Bach or some such playing in the background, is all very nice and civilised – sometimes you just want to get a real feel of the battleground. This game does the job admirably. I definitely recommend. Rated 5 out of 5 by GlenB from Quality... simple as that This is a super game for all chess strengths. There are many freeware programs available that are stronger but for fun and beauty this is a must. Rated 5 out of 5 by EpicFurion from Great Game! i love chess! 3d animation takes chess to a whole new level. Rated 4 out of 5 by Cashews2 from Chess for the Best ! Chess players beware ! This is a real battle of witts ! Rated 3 out of 5 by LangeDeMort from Good but not really worth Buying I played it I thought it was ok but not really good. Sure the Characters are cool. I just thought the design could have been better. Maybe letting us be able to choose a type of race we wanted or the style of pieces we wanted. I thought the Game play itself was kind of choppy and very slow. There is a lot of potential but they would need to do some sort of update to fix these things. Overall I liked it but I don't recommend buying it. I really wish I hadn't bought it because I wasn't impressed. 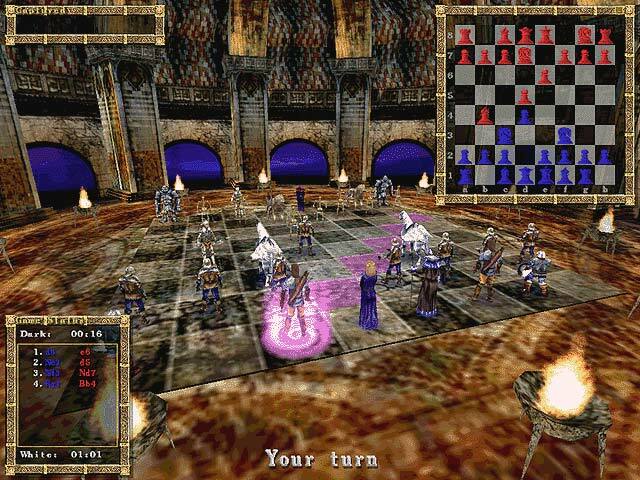 Play chess in a fantastic world where epic battles are waged in 3D.